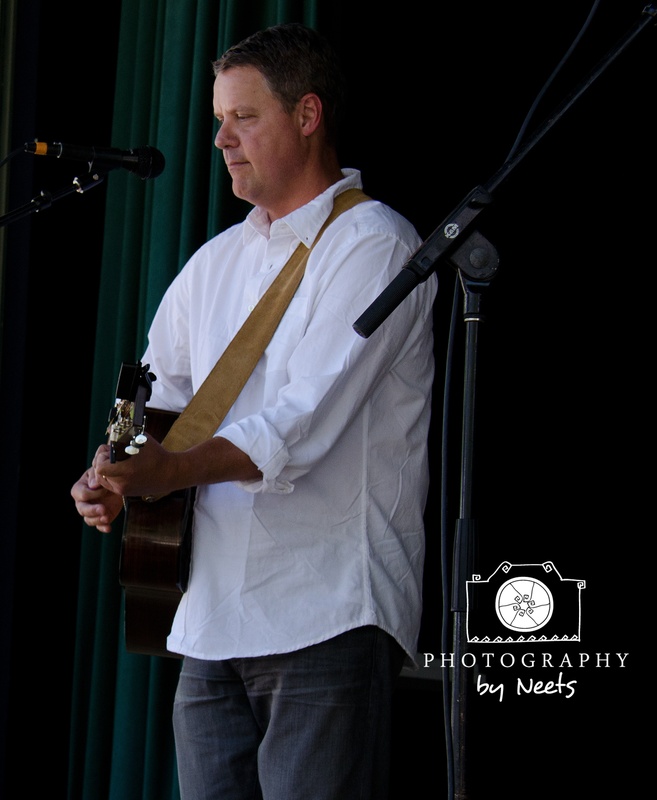 Songwriters of every skill level, from beginner to professional, will have plenty of activities along with networking opportunities during the Intermountain Acoustic Music Association (IAMA) Day on June 28 at the 38th Utah Arts Festival. For the first time, IAMA’s songwriter academy, now in its 7th year, and the finals of the nationally juried Susanne Millsaps Performing Songwriter Showcase competition, held annually since 1996, will take place on festival grounds. Both events are coordinated by IAMA’s Ruthie Naccarato. 1st Place winner Rob Harmon competing at the 2013 Susanne Millsaps Performing Songwriter Showcase. Forty-two songwriters from around the country submitted two songs apiece for the Millsaps competition and 10 finalists have been selected to compete for the finals which will be held in public performances on the Big Mouth Stage, beginning at noon on June 28. IAMA’s Todd Schultz says the competition always draws great enthusiasm not just from the finalists but also from the audiences. A blind judging format was used to whittle the slate to the 10 finalists, in which songs were judged by criteria of composition. Finalists perform their original songs as solos, only using acoustic instruments. “Most bring a guitar on stage and we had a contestant recently bring on stage a portable keyboard,” Schultz recalls, adding that one even managed last year to do her solo without any instrumental accompaniment, finishing as a runner-up. No piano is provided for contestants. 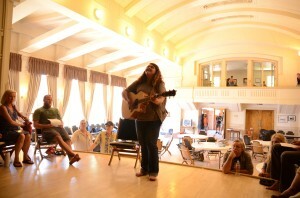 Michelle Moonshine (Gomez) participating in the Performance Workshop at the IAMA Songwriter Academy. The competition honors one of the most well-known volunteer radio personalities from KRCL-FM radio. Millsaps, who died in 2006 from cancer, started the competition in 1996 at venues which have included Deer Valley and Snowbird ski resorts. Some of the most recent prominent winners include Kort McCumber with the widely respected Americana albums Moors & McCumber, a collaborative effort with Wisconsin songwriter James Moors, and the critically acclaimed Ain’t The Same As Before; Peter Danzig of Otter Creek, Rob Harmon of Heber City, Utah, won last year’s competition, will perform at the festival and is expected to release an album later this year. At least two dozen others, who have been finalists, have found active performing and songwriting careers. This year’s finalists are Bob Bland, Utah; Paul Fritzler, Utah; Kelly Brightwell Hagee, Oregon/Minnesota: Julia Lelis, Utah; Bill McGinnis, Utah; Misty River, Utah; Nathan Spenser, Utah; Jim (Fish) Svendsen, Utah/Arkansas; John Thomas (JT) Draper, Utah; Kray Van Kirk, Alaska. The winner, who will perform as the opening act to legendary folk musician John McCutcheon’s 9 p.m. performance on the Festival Stage, will receive a RainSong Carbon Fiber guitar, with a $1,950 value and donated by IAMA, RainSong Guitars and MacNichol Guitars. Runners-up will receive cash prizes. Steve Seskin conducting Songwriting Lyrics workshop. 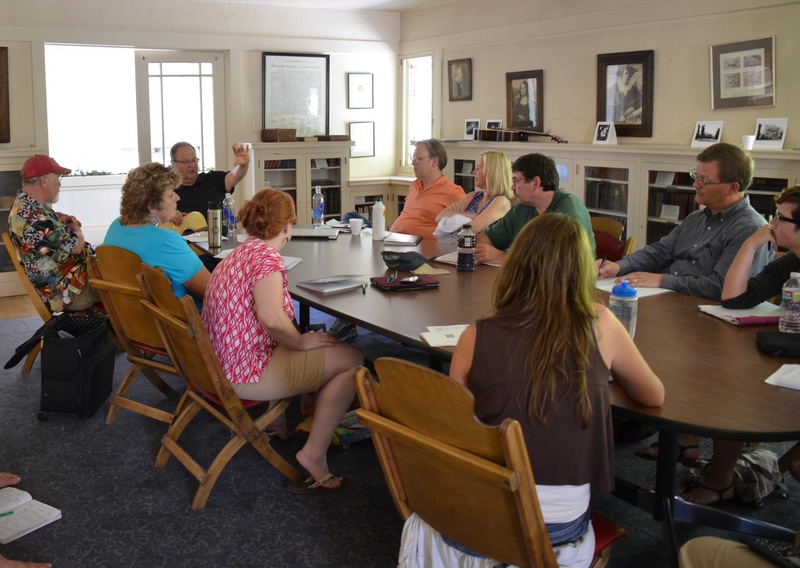 Prior to the competition, activities for IAMA’s songwriter academy will be held on June 27 and 28. The event, which Naccarato launched in 2008 was based on a song school held in Lyons, Colorado at the Rocky Mountain Folk Festival. Launched in 2008 as the Snowbird Song School at the ski resort, the academy was moved to the Gallivan Center for the last two years. While the academy has invited various musicians to be instructors for the academy’s workshops, which include focused training on writing lyrics, scoring vocal parts, dealing with issues of performance and instrumentation and planning promotional activities, the school will now have a permanent anchor with musician and songwriter Kate MacLeod, whose nationally recognized credentials and recording credits have been established over a prodigious career of nearly three decades. McCutcheon is joining this year’s academy as a guest instructor. The academy has several events that include “open mic” sessions, one on Friday evening and again on Sunday morning at local coffeehouses. Schulz says the sessions give students a chance to show others what they have learned during the academy sessions. Schultz says more than 100 aspiring songwriters have participated since the academy started in 2008 with participants coming from Arizona, Idaho, Massachusetts and Ohio. While most attendees are adults, some academy participants have been as young as 15. Schultz expects that many of the more than 600 members of IAMA will attend the festival for the June 28 events. IAMA members can attend the festival for free, along with participants in the songwriter academy and the Millsaps competition.